Even though FinalWire as a company was only established in 2010, its core members have been working together on system utilities development for over a decade now. We are committed to delivering streamlined diagnostic and network management solutions, using the skills and experience we have gathered since the introduction of our first system analyzer software ASMDEMO in 1995. Our solutions help our customers gain a level of deep insight into and exceptional control over both standalone personal computers and corporate networks. 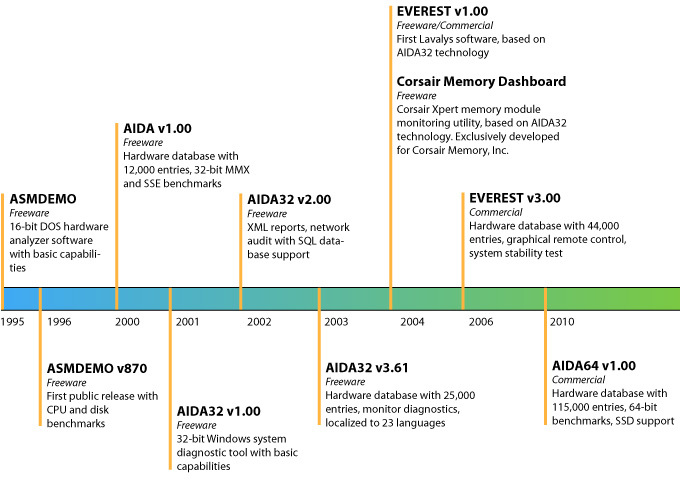 Currently, the product family consists of four products: a diagnostic, benchmarking and hardware monitoring software targeting home users called AIDA64 Extreme; an edition with added functionality for corporate engineers called AIDA64 Engineer; a dedicated network inventory solution for businesses called AIDA64 Network Audit, and AIDA64 Business, our flagship product which offers hardware diagnostic, network audit, remote control and change management capabilities to corporate customers. FinalWire Ltd. is a privately held company located in Budapest, Hungary.